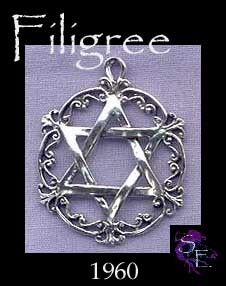 A very nicely detailed ornate filigree Jewish Star of David Pendant or Necklace. 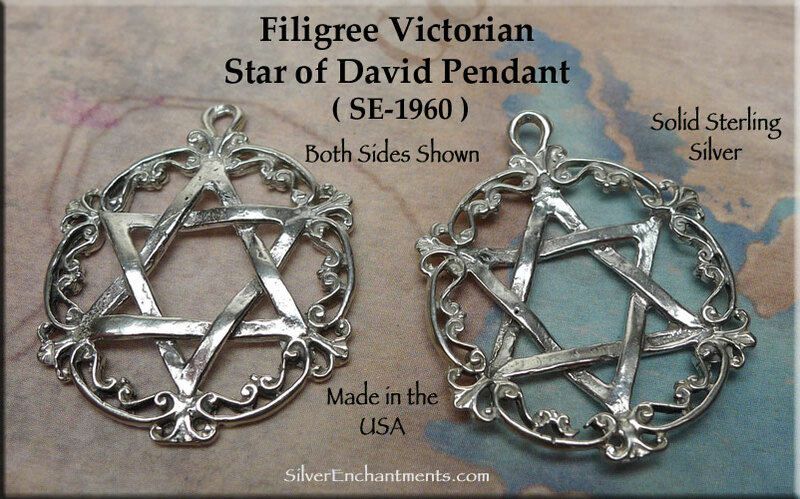 Cast in Solid .925 silver by us here in the USA, these Judaic Star of David Pendants measure approximately 31mm x 25mm. 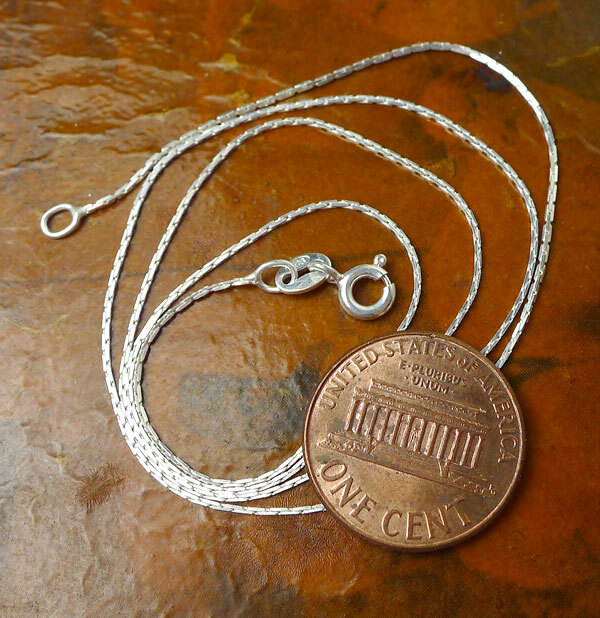 Please note that pendant measurements do not include the length of any removable attachments. These will vary some, but a standard jump ring or split ring would add about 4mm (~1/8") onto the overall length. The Magen David (shield of David, or as it is more commonly known, the Star of David) is the symbol most commonly associated with Judaism today, but it is actually a relatively new Jewish symbol. It is supposed to represent the shape of King David's shield (or perhaps the emblem on it), but there is really no support for that claim in any early rabbinic literature. In fact, the symbol is so rare in early Jewish literature and artwork that art dealers suspect forgery if they find the symbol in early works. The symbol of intertwined equilateral triangles is a common one in the Middle East and North Africa, and is thought to bring good luck. It appears occasionally in early Jewish artwork, but never as an exclusively Jewish symbol. The nearest thing to an 'official' Jewish symbol at the time was the menorah. Today, the Magen David is a universally recognized symbol of Jewry. The Magen David gained popularity as a symbol of Judaism when it was adopted as the emblem of the Zionist movement in 1897, but the symbol continued to be controversial for many years afterward. It appears on the flag of the state of Israel, and the Israeli equivalent of the Red Cross is known as the Red Magen David. 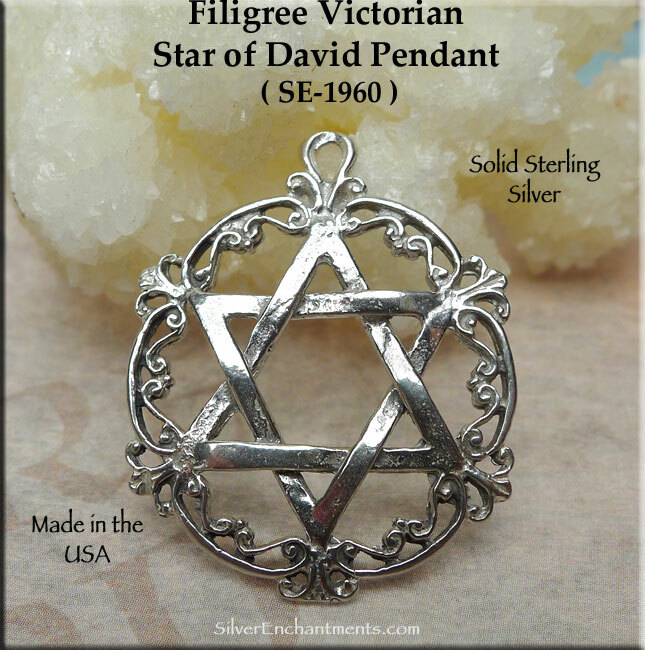 > You can Customize this item into a Star of David Necklace -- Choose from : Pendant Only or on a Sterling Silver Necklace Chain (see last pic for current chain style). When selecting on a SS Chain, your Solid Sterling Silver Star of David Necklace will come Boxed.